Nobody really knows how old Crinkleroot is. He is much older than ten and alot younger than one thousand. I myself wasn't much older than ten when I began telling his story. 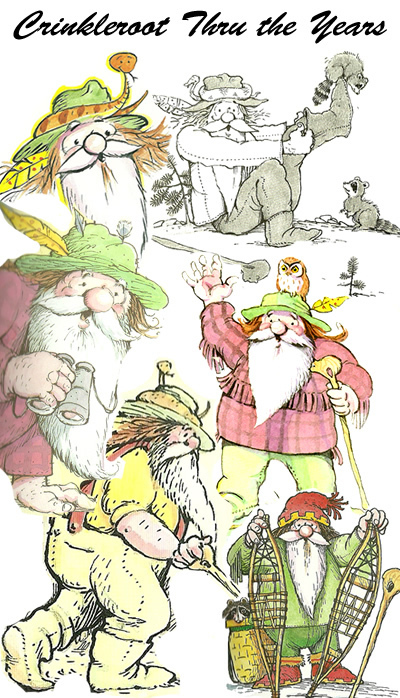 Back in the 1970's I drew the very first pictures of Crinkleroot and his friends Sassafrass and Walking Stick, late one evening in Pennsylvania. My family and I were living in a cabin at the foot of a wooded mountain.